We are in Oahu visiting my sister Shannon, and she’s giving us a local’s tour of the island. I told her that I wasn’t going to research anything before our trip, and that I just wanted to do all of her favorite things.. except hiking. So naturally on our second day here, she took me hiking. 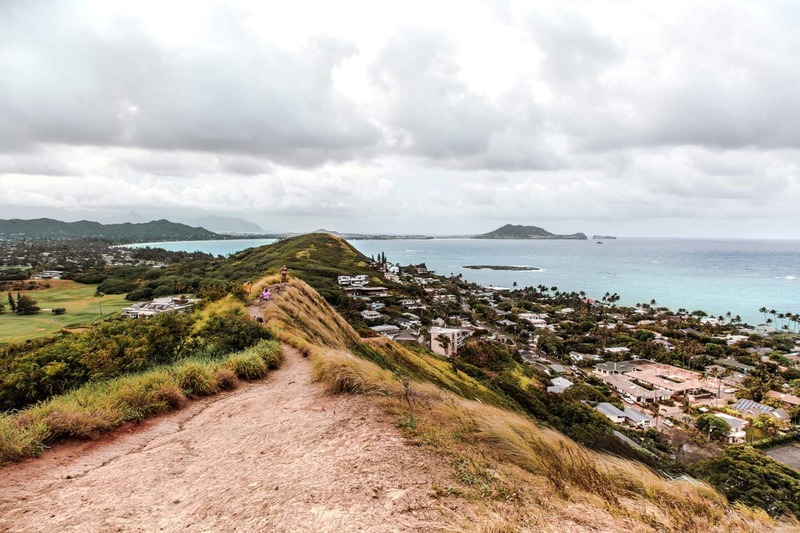 While I’m not the biggest fan of climbing hills in humidity, I will literally drag my body anywhere for a good view.. and the Lanikai Pillbox Hike delivered. 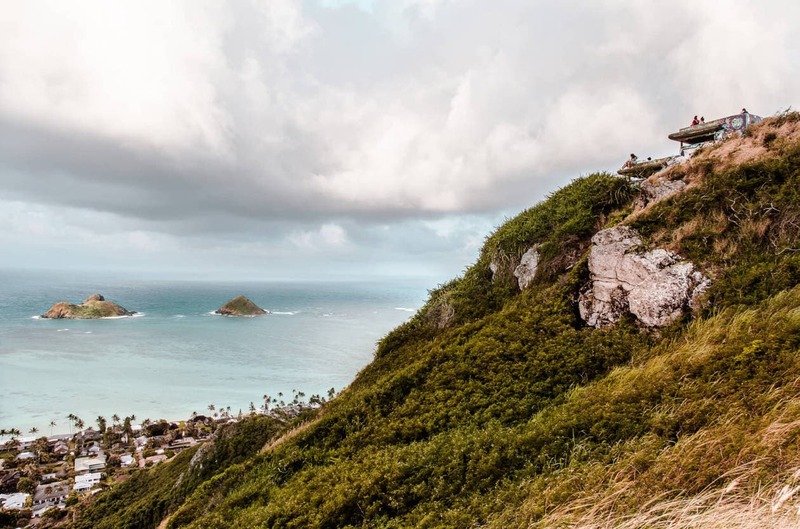 The Kaʻiwa Ridge Trail, more commonly known as the Lanikai Pillbox Hike, is considered to be one of the easiest hikes on Oahu. 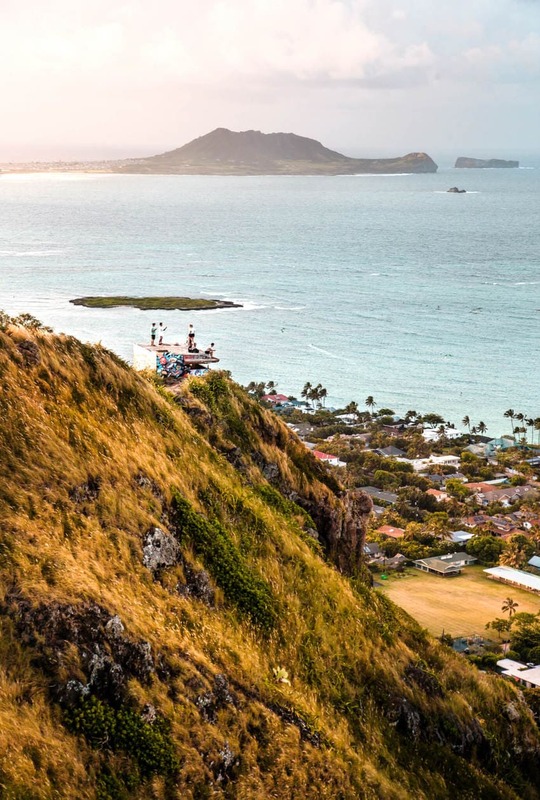 Coming in at only 1 mile (1.6km) roundtrip, it’s a good one to do if you don’t have a lot of time on the island, or if you want to get in a quick workout paired with an incredible view. To get to the trail, you’ll have to walk through a residential area, but there’s an obvious sign indicating the start of the hike. The initial ascent up the hill was the most steep but there are ropes you can use to hoist yourself up if you need help, or if it’s slippery. The hike itself is not that difficult but I’m accident prone, so I went super slow because the gravel was loose in some spots and you also have to do a bit of climbing. Going down was harder than going up, just because of the uneven and steep nature of the terrain. 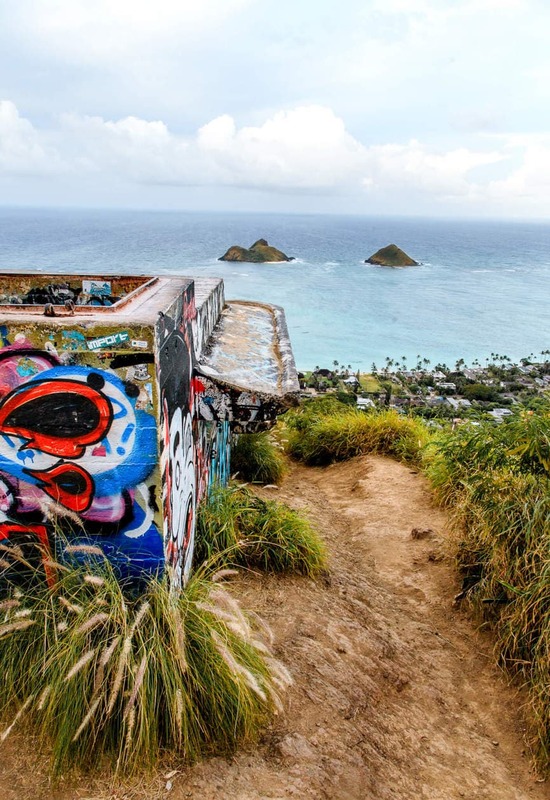 There are two old concrete military bunkers at the top of the hike, which were once used as lookout stations during WWII. The bunkers are open to explore and their roofs are the perfect place to sit and take in the view. 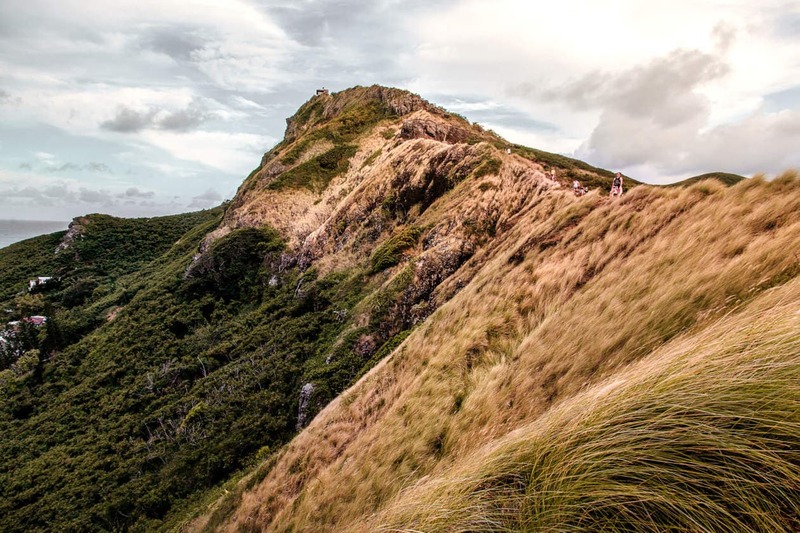 Plan to spend some extra time once you reach the top, because the view is breathtaking from every angle. Even though I said I didn’t want to hike in Hawaii, I’m glad we did, I would definitely do it again. Only next time, I’d pack a light breakfast and make it up in time to watch the sunrise. SUNRISE The sun comes up behind the Mokulua Islands directly in front of the pillboxes, so it’s the place to witness the prettiest sunrise on the island. We did the opposite and hiked at sunset but even though the sun was setting on the other side of the island, we still got some great light. GO TO THE 2ND PILLBOX I noticed that most people stopped at the first pillbox before turning back, but if you walk only 5 more minutes to the 2nd pillbox, you’ll get an even better view. 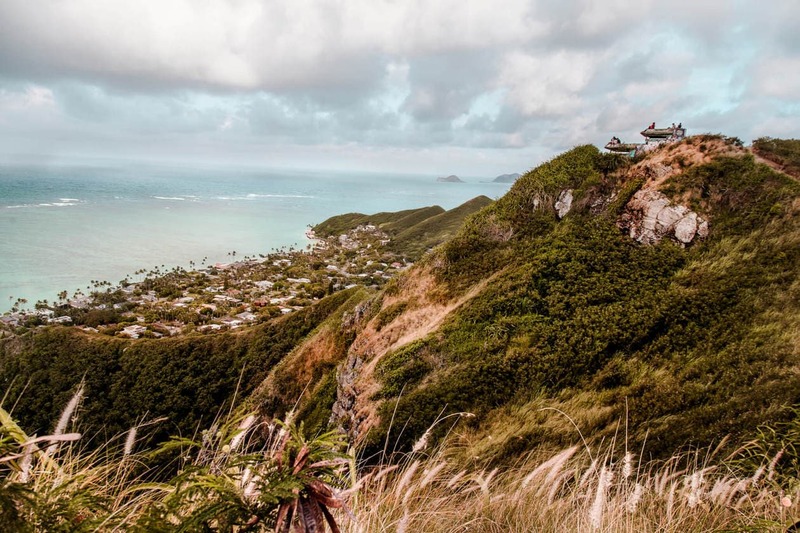 The little stretch is probably the easiest of the whole hike, and you’ll be rewarded with a gorgeous vantage point of Bellows and Waimanalo Beaches. WEAR SHOES WITH TRACTION For some reason, I always run into fellow tourists wearing flip flops or even heels (I’ve seen it) on hikes. 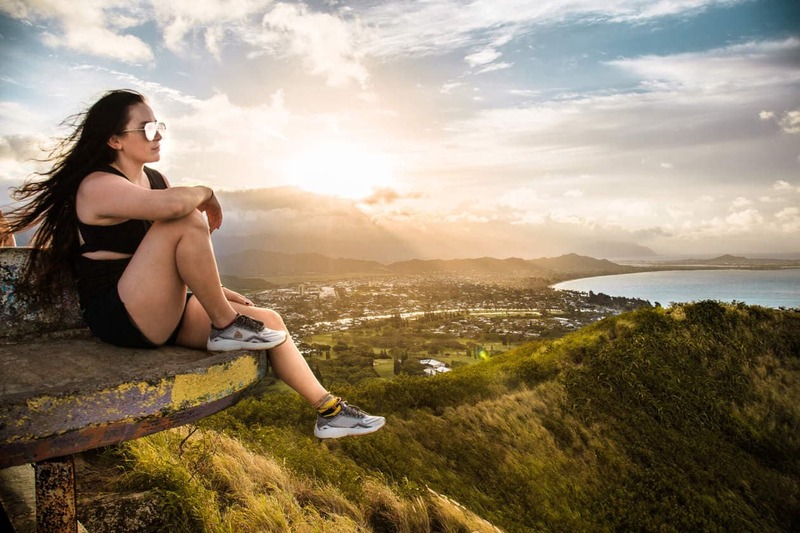 If you’re going to do the Lanikai Pillbox Hike, you need proper shoes. Pack something with traction to help you keep your balance.. you’ll especially need it on the way down. CHECK THE WEATHER If it starts to rain, the trail can get muddy and even more slippery. I suggest checking the weather before you hike to make sure conditions will stay dry. If you do hike in the rain, wear clothes that you’re ok with getting muddy. KEEP YOUR HANDS FREE Since there are areas of the trail that might require your hands to balance or climb, bringing a backpack or bag to store your water bottles and cameras in will keep your hands free in case you need them. WEAR SUNSCREEN Aside from a few trees at the start of the trail, the hike is not shaded. 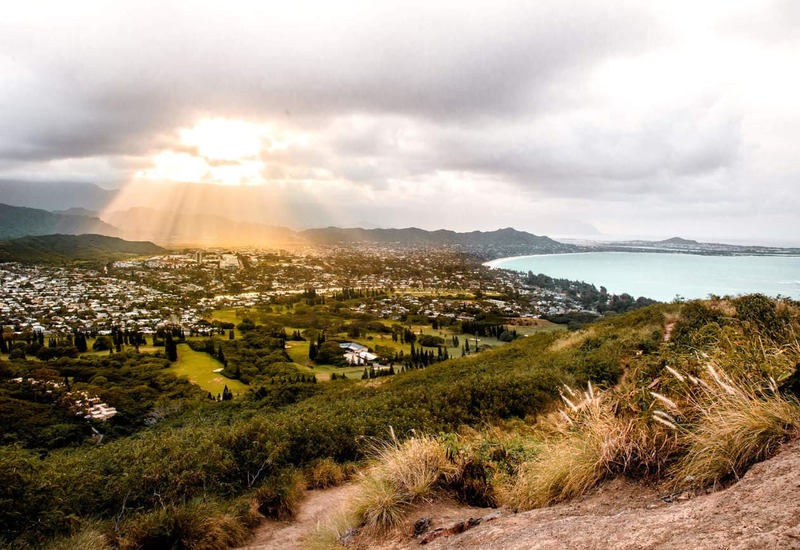 WHEN TO HIKE There should less people hiking early in the morning or later in the evening. During sunset there were very few people on the hike with us. We also got a coveted parking spot right in front. These are also a good times to go as the weather will be cooler. 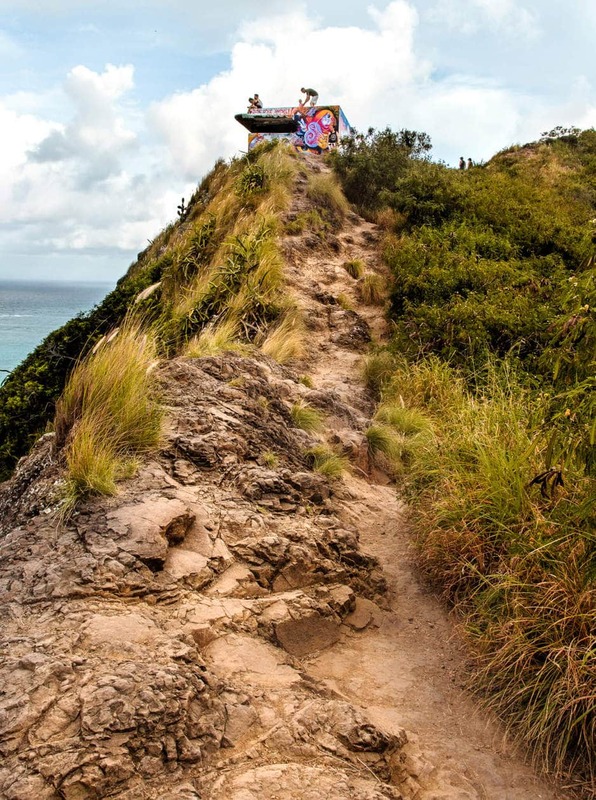 Try to avoid hiking on the weekends or holidays when crowds are at their peaks. 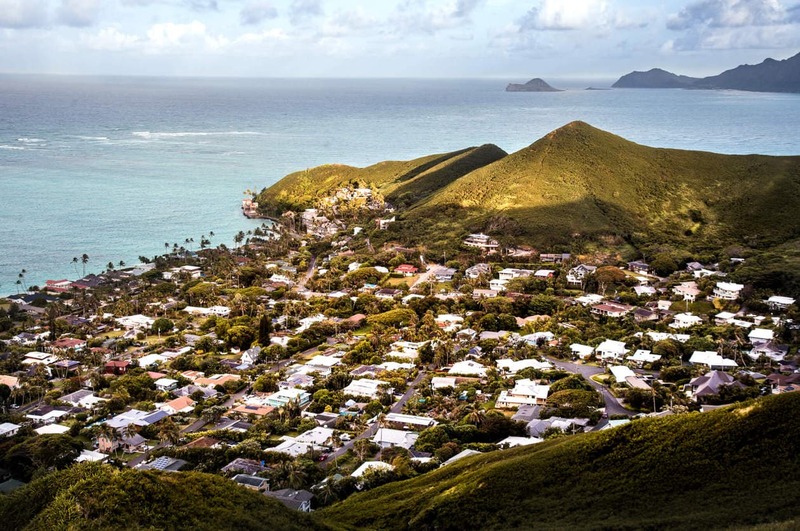 BE RESPECTFUL OF THE NEIGHBORHOOD Since you’ll be trekking in and out from the Lanikai Pillbox hike through a residential neighborhood, it’s important to be respectful of the people that live here. 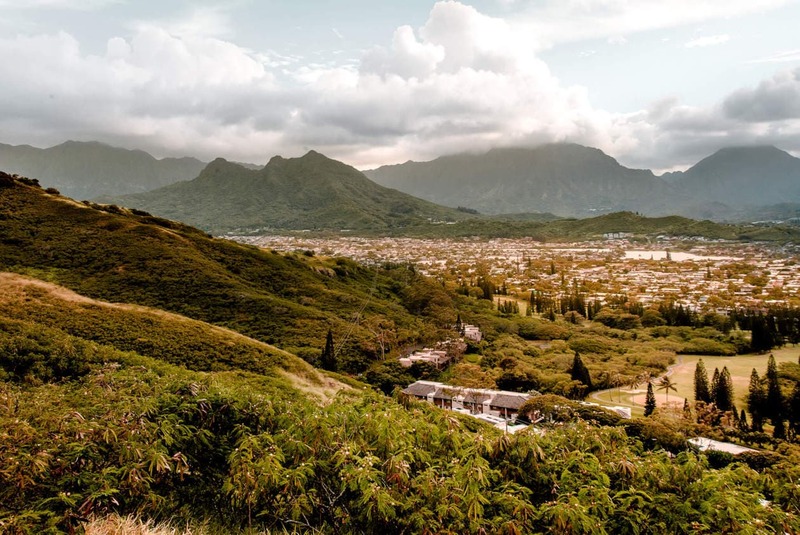 Picking up your trash and keeping your noise levels down not only benefits the residents but it allows everyone to continue to have the opportunity hike here. THE HIKE ENDS AT THE PILLBOXES Some people suggest continuing hiking past the 2nd pillbox and back down into Lanikai, however, this section of the hike is on private property. Going back down the way you came is recommended. 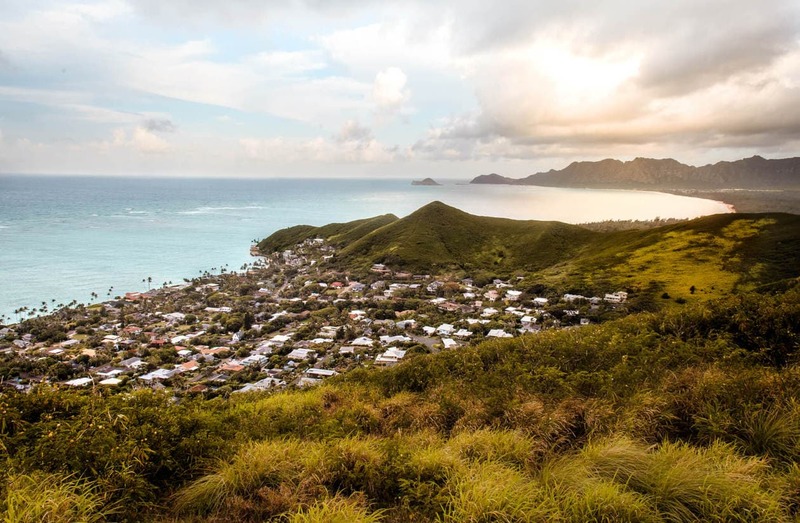 YOU’RE GOING TO WANT PHOTOS The views from the top of the Lanikai Pillbox hike are gorgeous and there are tons of photo ops along the way. I definitely regret wearing my grungiest shirt because the photos weren’t cute. 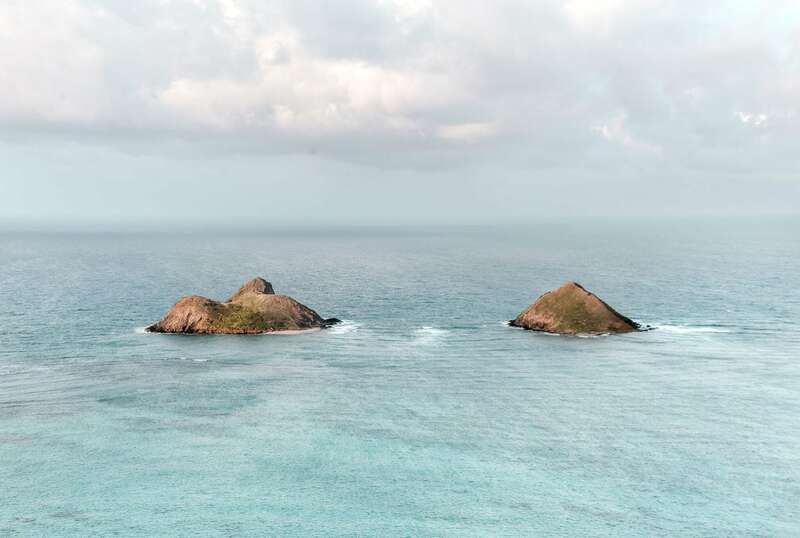 The start of the hike located off of Kaelepulu Drive, less than 0.5 miles(0.8km) from Lanikai Beach. 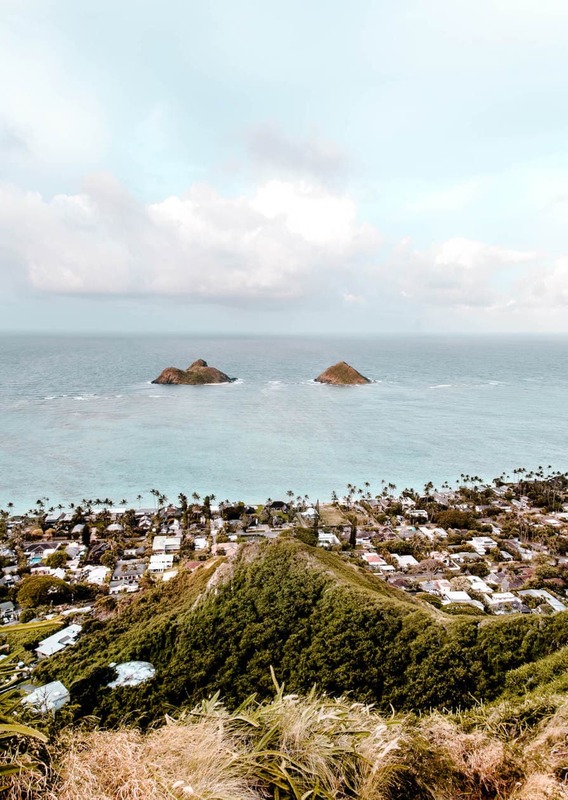 You’ll see Mid-Pacific Country Club on your right, the entrance to a gated community straight ahead, and the trailhead will be on your left. There are only a few street parking spots near the trailhead, so prepare to search for a spot if you visit during peak times. If you’re coming up empty on parking, there plenty of spots at the Kailua Beach Park, only 0.9 mile (1.4km) away. 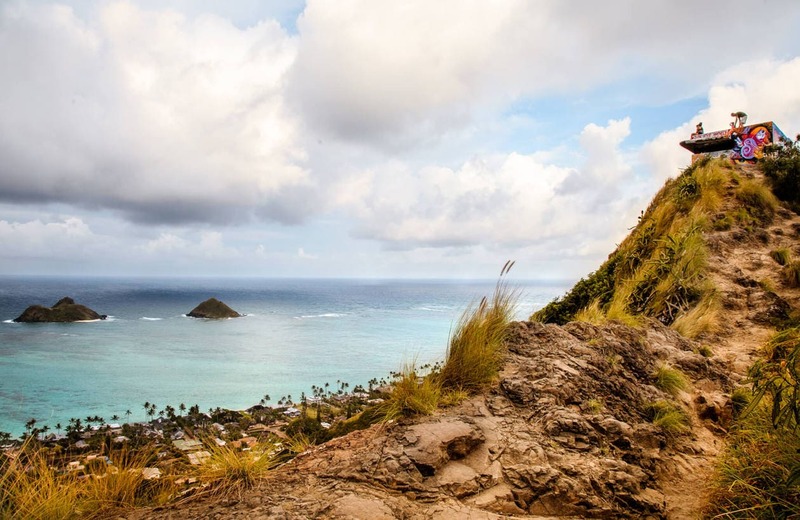 Have you done the Lanikai Pillbox Hike? Leave a comment below!